When Nawaz Sharif and his Pakistan Muslim League-Nawaz (PMLN) came into power in 2013, the airline was in very bad shape. It posted a staggering annual loss of 44.5 billion rupees at the end of that year. In his budget speech in the summer of 2014, Finance Minister Ishaq Dar said the government wanted to restructure PIA in order to improve its performance as well as its financial health so that it could be sold to the private sector at a good price. The restructuring had, indeed, started already. In June 2013, after just a month in office, the government took away civil aviation and airport security from the control of the Ministry of Defence. It created a new aviation division, putting the Pakistan Civil Aviation Authority (PCAA), the Airport Security Force (ASF), the Pakistan Meteorological Department and PIA under it. The position of an adviser to the prime minister, equivalent to a minister, was created to head the division and Shujaat Azeem, a former air force pilot, was appointed to it. 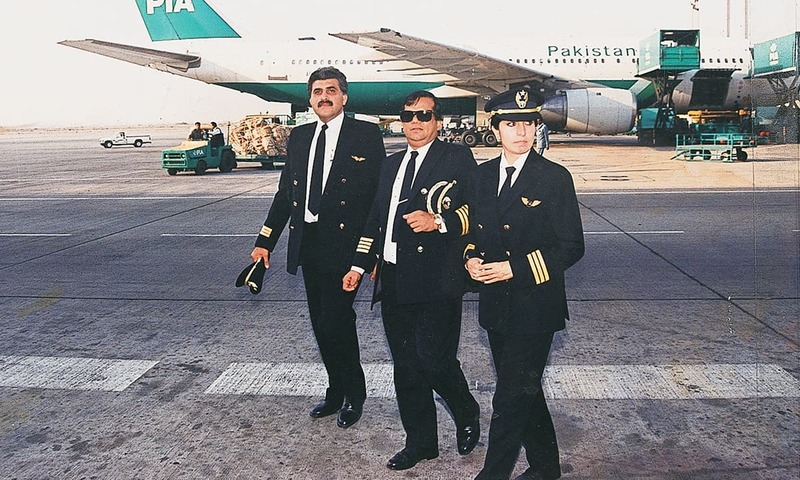 He was then working as the chief executive officer of the Royal Airport Services, an Islamabad-based private company that specialises in providing ground handling services to airlines in Pakistan, including PIA. His brother, Tariq Azeem, once served as state minister for information in Pervez Musharraf’s regime but switched sides to the PMLN in 2012. Shujaat Azeem had also worked as the personal pilot of Rafic Hariri, a Lebanese business tycoon who became his country’s prime minister twice and was considered close to Nawaz Sharif before he was assassinated in February 2005. The appointment became immediately controversial —and not because of Shujaat Azeem’s personal links. In July 2013, the Supreme Court called into question his posting while hearing a constitutional petition on the allegations of corruption in the construction of a new airport in Islamabad. The court cited his removal from the Pakistan Air Force after a court martial, his Canadian nationality and the potential conflict of interest involving his position at the Royal Airport Services as sufficient grounds for him to relinquish his job. So he did. Less than six months later, Nawaz Sharif reappointed Shujaat Azeem as his special assistant on aviation while court proceedings against him were still going on. In December 2015, the Supreme Court restrained him from exercising his powers as special assistant and subsequently – in March 2016 – declared him ineligible to hold any public office. He had to quit his job. Again. Controversy over Shujaat Azeem’s appointment was one major reason why the government’s plans for restructuring and privatising PIA fell apart even before they could take off. In January 2016, the parliament passed the Pakistan International Airlines Corporation (Conversion) Act 2016 that repealed the Pakistan International Airlines Corporation Act 1956 and changed PIA’s status from a government-owned entity to a public limited company. The legislation was meant to be a precursor to the airline’s complete privatisation. PIA employees were immediately up in arms. They observed countrywide strikes disrupting flights and holding sit-ins at their offices as well as major airports. They demanded an immediate repeal of the law and rejected even a partial privatisation. The stand-off became so intense at one stage that there were physical clashes between the striking employees and the security agencies. In one such melee in Karachi, two employees lost their lives, leading to the resignation of PIA chairman Nasir Jaffer. These debacles coincided with another important development. In February 2016, the government appointed Bernd Hildenbrand – a German citizen who has 40 years of work experience in the aviation industry – as PIA’s chief operating officer. In May that year, he was given additional charge of acting chief executive officer of the airline. Like Shujaat Azeem, controversy dogged him from the start. ####If there is one phrase that can describe the PIA’s condition it is that the airline is in the ‘stone age’ today when compared to other airlines from the Gulf States and South Asian region. The security and intelligence agencies did not give a security clearance for his appointment. This was followed by criticism of his fat pay cheque and massive perks and privileges that came under serious scrutiny at multiple hearings in the Senate’s standing committees. In December 2016, he was barred from leaving Pakistan after reports emerged that he had sent a flightworthy aircraft (A310) to a German airport without first finalising an agreement for its sale. Three months later, he was alleged to have caused a loss of 1.8 billion rupees to PIA through a premier service he had launched for business class travel between Pakistan and the United Kingdom, leasing a plane from the SriLankan Airlines at an exorbitant price. He tendered his resignation in April 2017 and left Pakistan — but not without generating another controversy: who let him leave when his name was on the exit control list? All these fiascos meant that there could be next to no development on privatisation. As part of the restructuring efforts, however, the government had already brought in a couple of chairmen from the private sector and also expanded PIA’s board of directors, mostly through inductions of businessmen and management professionals. Safdar Anjum, general secretary of PIA’s Senior Staff Association, sees the change as he has seen similar measures taken by several other governments in the past — cosmetic and ineffective. “I simply could not make out what the government wanted to achieve from [legal and administrative changes in PIA],” he says. After Shujaat Azeem’s resignation, Nawaz Sharif made Sardar Mehtab Ahmed Khan his adviser on aviation. He has been a federal minister and a chief minister of Khyber Pakhtunkhwa in the 1990s and has worked as the same province’s governor between April 2014 and February 2016 but he has no previous experience in aviation. On a recent October afternoon, he offers his prayers inside his office on the fourth floor of a government building in Islamabad’s Blue Area before sitting down for an interview. “The employees treat [PIA] like any other government department, undermining its commercial importance,” he says as he sets out to explain the airline’s decline. “They refuse to improve their performance and thereby bring improvement in the overall working of PIA.” In his opinion, various employees’ unions and staff associations have assumed the same disruptive role that they have been playing in other government-run institutions. Then he offers an additional explanation. “PIA has been working without any business plan for a long time [and has] become a directionless entity.” If it has to survive as a commercial entity, he says, then it needs new rules and regulations and a new work culture so that it could fulfil the demands of a modern aviation industry. It was these objectives that resulted in the legislative change in PIA’s status, he says. Changing the law was easy. The changes it intends to usher in have yet to matrialise even after the passage of more than 20 months. The ownership pattern of the airline still remains the same: the government owns more than 90 per cent of its shares; the rest are in the ownership of its employees and some private institutions. And its operational and financial performance is as bad as it has ever been. Khan acknowledges all this. For the situation to take a turn for the better, he remarks, the airline requires the induction of a modern aircraft fleet, introduction of latest technology, appointment of an efficient management and preparation and upgrading of travel packages in accordance with the market demands. A tall order for an airline that has an ageing fleet of only 33 planes – operated by a massive staff of 16,500 regular employees and 4,500 contract officials – and suffers from structural complexities made worse by the gross mismanagement of its affairs for more than two decades. “PIA’s plane-to-employee ratio is far higher than that of other airlines,” says Khan. He then realises that his comments can be construed as hinting at staff dismissals so he immediately adds: “I am not making this comparison because we intend to make any decision which is against the employees but the comparison is aimed at highlighting the reality.” His nervous explanation is a strong indicator of how powerful and disruptive the employees’ unions and staff associations can be. Representatives of the staff, however, have often forcefully argued that the plane-to-employee ratio is calculated incorrectly. 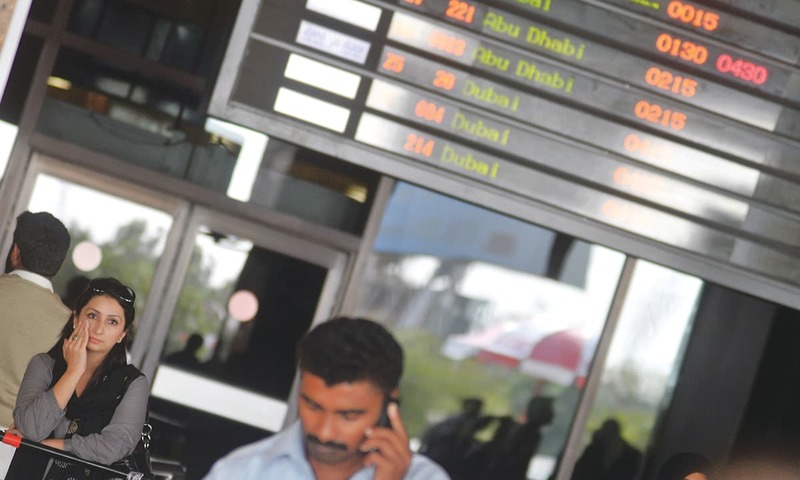 It does not take into account the fact that PIA does many things on its own such as maintenance and engineering, ground handling, ticketing and reservation, in-flight catering — things that most other airlines outsource. Khan conceded there may be some weight in the argument but it still does not justify overstaffing in many departments. “The engineering department has 4,500 engineers, technicians and other support staff (including both regular and contractual employees). Such a large number of people should have been handling at least 450 aircraft,” he says. Saleem Mandviwalla briefly served as federal finance minister in 2013 and has also worked as state minister for finance and investment during the Pakistan Peoples Party (PPP) government in 2008-13. These days he heads the Senate Standing Committee on Finance, Revenue, Economic Affairs, Statistics and Privatization and maintains a regular watch on PIA’s affairs. He recalls being in a government briefing given to parliamentarians before the passage of the new law to govern PIA. 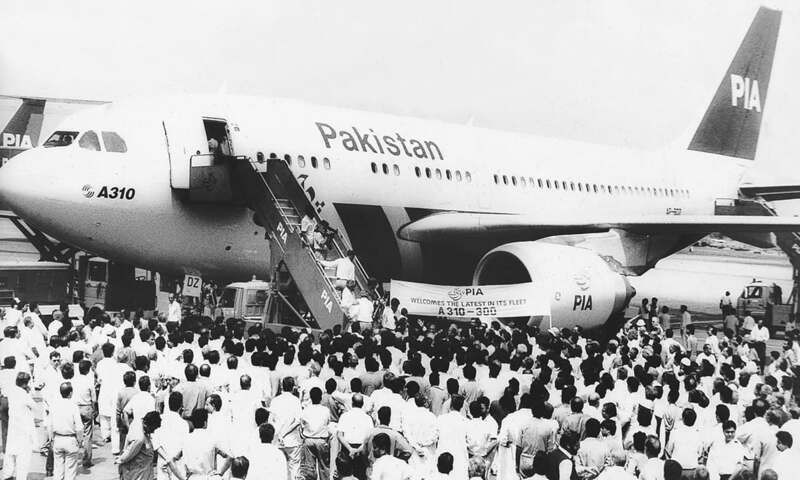 He remembers the officials providing the briefing as saying that a new company – Pakistan Airways – would be set up to handle the airline’s flight and cargo operations while the rest of its departments – ground handling, catering, engineering, booking and reservations, etc – would stay under the charge of the old company. When PIA employees got wind of these plans, they feared that new staff would be hired for the new company, relegating all of them to the old one that would be made redundant and eventually sold or closed down, he says. The parliament took note of their protests and made it mandatory for the government to hire staff for the proposed Pakistan Airways only from the existing PIA employees, says Mandviwalla. The government then practically shelved the plan to create the new company (even though it still exists on paper) since that was what its intention was — to engage new staff and dump the old one, he claims. The structures within the PIA are obsolete. The company is overstaffed by far and its internal administration has reached ridiculously low levels. Mandviwalla says he and his party, PPP, do not oppose the privatisation of loss-making, state-owned enterprises including PIA but “we are against the way the privatisation is being done under this government.” He cites the example of how Heavy Electrical Complex, a government-owned company based in Hattar, was being privatised. “The government almost sold it to a Kenyan company – Cargill Holdings Limited that had paid-up capital of only 1,000 US dollars – on the pretext that no other company had submitted a bid [to acquire the complex].” The deal could not go through because banks refused to honour cheques issued by the Kenyan firm, he reveals. Khan, the aviation adviser, says it was his decision to appoint Elahi to the two positions together in order to “create a sense of responsibility and accountability” in PIA. This arrangement is temporary, he argues, because PIA requires an effective supervisory role during its restructuring. The airline, he says, has developed a habit of not taking the regulator’s notices and warnings seriously. “This has completely eroded its sense of responsibility and has been a major reason why its flights have been banned in different regions across the globe in recent years.” To rectify the situation, “regulations are strictly needed to be implemented”, he says, suggesting that giving the task of running the airline and enforcing the regulations to the same person makes that task easy. And, Khan insists, the arrangement does not involve any conflict of interest because “the regulator is a government department and the organisation it is regulating is also owned by the government”. Pakistan has an open skies policy. Any foreign airline can get landing rights in the country through an agreement with the government — a policy that, many people allege, has contributed to PIA’s financial demise. The national flag carrier certainly cannot compete with foreign airlines with deep pockets, modern fleets and high-quality hospitality services. That is true, Khan says, and mostly because the open skies policy has been very broadly and liberally implemented. This has not only hurt PIA’s interests but also the interests of other airlines based in Pakistan, he says. “We should ensure that foreign airlines are not given landing rights liberally in the future. We shall also see how we can reduce the frequency of [existing] flights by foreign airlines [within the provisions of the agreements signed with them].” But, he hastens to add, PIA cannot thrive even if it is provided the most protected market. The airline will never get back the monopoly it once enjoyed. The open skies policy is here to stay. It is an important component of this government’s aviation policy — announced in 2015 and formulated by Shujaat Azeem. Firstly, reads the policy, open skies are an international trend: “In 2003, there were 87 [open sky] agreements. In 2012, there were over 400. [And] … the trend is increasing.” Secondly, according to the authors of the aviation policy, average traffic growth due to open skies agreements has been 12-35 per cent. Nothing seems to beat these numbers — certainly not a loss-making airline. The only option for PIA is to adapt to the latest trends but it’s failing to do that too. Landing rights agreements are reciprocal, says Khan. They give PIA the right to operate as many flights to and from other countries as their airlines are operating to and from Pakistan, he says. If PIA is not fully using these allotted slots, it is because of its own weaknesses, he says. The employees did not like the deal. As soon as a pre-agreement memorandum of understanding was signed, strikes erupted in the airline and the government was forced to call off the whole thing. PIA’s managing director who was pushing the deal had to resign. “I still could not understand why our government succumbed to the baseless allegations of selling out routes while the deal was heavily in favour of PIA,” says Mandviwalla. Stories about an Airbus A310 aircraft having gone missing from PIA fleet hit headlines a couple of months ago. Mandviwalla claims credit for being the first to point out the missing plane. Another senator, Tahir Mashhadi of the Muttahida Qaumi Movement, appeared on news television channels on October 9, 2017 and claimed that Bernd Hildenbrand had taken the plane with him to Germany. 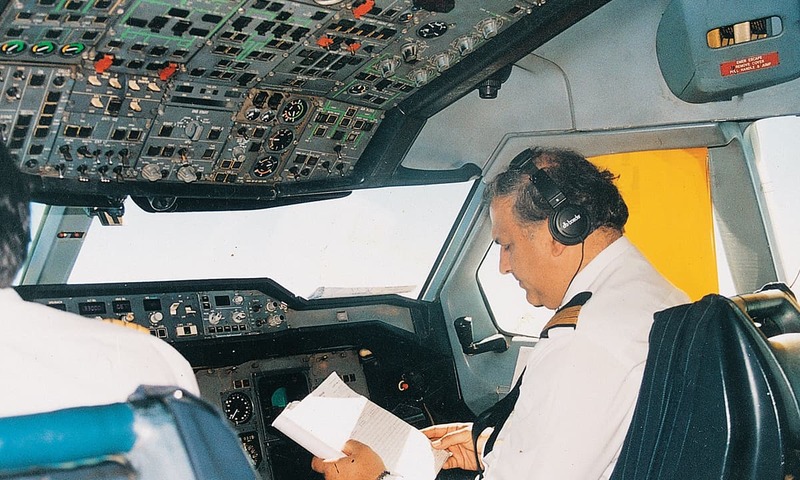 Hildenbrand’s own version – not as sensational as some of the stories doing the rounds in the media – offers a peak into the sorry state of both PIA’s fleet and its affairs. He claims the 2015 National Aviation Policy deemed that four A310 planes owned by PIA had reached their structural life. No other airline in the world uses these old aircraft – that were built in the early 1990s – for passenger services anymore, he further claims. The planes malfunctioned on a number of occasions — with their landing gear not functioning, flaps not working and other parts getting stuck, he says. 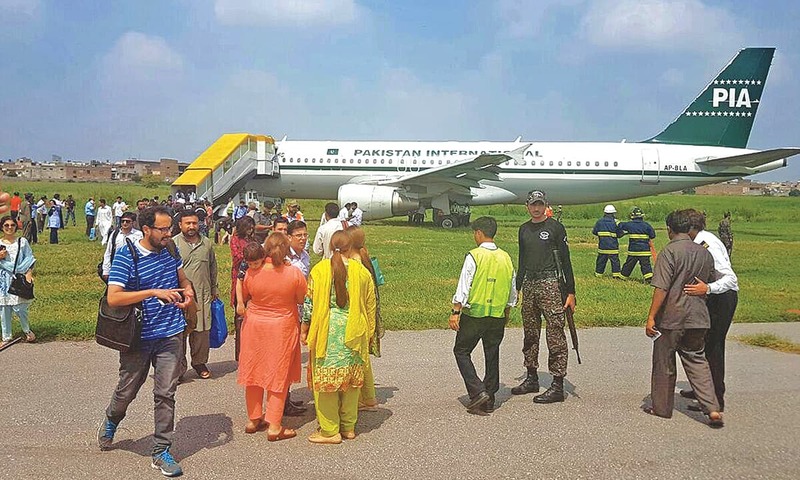 “Keeping them flying was a grave safety risk and PIA’s board of directors was duly informed about it.” The airline’s own maintenance and engineering department as well as the CAA endorsed the idea of taking the planes out of operations, he says. The aircraft were duly grounded. PIA tried, unsuccessfully, to get rid of them when Nasir Jaffer was its chairman between October 2014 and February 2016, says Hildenbrand. The airline approached Airbus, the manufacturer of the planes, seeking to exchange them with A330 aircraft. Airbus did not show any interest in the deal. It was in these circumstances that PIA decided to sell the aircraft while they were still fit to fly, Hildenbrand says. An international tender was floated on July 31, 2016. Airbus as well as some other possible buyers – such as passenger airlines, cargo airlines and leasing companies – were directly approached to invite bids from them. “[But] not a single bid was received,” he says. Only an airport in the German city of Leipzig showed interest in buying one aircraft to use it for an exhibition and possibly for training, he says. ####When compared to the leading airlines [of that time] like Swiss International Air Lines, Qantas, Air France, British Airways or Lufthansa, it was at best an average airline in the 1960s and 1970s. Here is what happened next, according to Hildenbrand: in August 2016, PIA management decided to invite another round of bids to fulfil the requirements of the Public Procurement Regulatory Authority; the tender was issued on November 9 last year and the airport authorities in Leipzig duly participated in the bidding process with their offer. Before the sale of the plane could go through, a London-based company, M-S Aviation, approached PIA to acquire the plane on a short lease so that it could be used in a movie; the aircraft was flown to Malta and earned 210,000 euros for its part in the movie. After the short lease ended, the plane went to Leipzig where it was to take part in an exhibition. It has been parked there since then. “The airport authorities there have approached PIA several times to find out what the airline wants to do with the plane but so far nobody has answered them,” Hildenbrand claims. Back home in Pakistan, media and parliamentarians are crying themselves hoarse over the fact that the Leipzig airport has not paid a single penny for the plane so far. Aviation adviser Khan says PIA’s management and the government knew about the departure of the plane since it left Pakistan only after CAA had granted it special permission to fly. But then he offers a few correctives to Hildenbrand’s account: the deal for the plane’s sale was never authorised by the top management of the airline, he says, citing an internal PIA inquiry. The inquiry also holds Hildenbrand and PIA’s then director of procurement and logistics responsible for the plane’s journey to Leipzig, says Khan, stopping short of naming the director. Mandviwalla identifies him as Air Commodore Imran Akhtar, brother of Lieutenant General Rizwan Akhtar who recently sought early retirement and was the director general of the Inter-Services Intelligence (ISI), Pakistan’s top spy agency, between November 2014 and December 2016. “[Imran Akhtar was instrumental in] giving permission for the plane to fly out of the country,” says Mandviwalla. He claims to being privy to another issue involving Imran Akhtar. Such allegations of corruption and tales of mismanagement and misconduct among PIA staff are legion. Khan concedes that indiscipline, leakages and irregularities were tolerated in PIA in the past but he has decided to put an end to them. The airline’s internal inquiries into leakages and irregularities will be completed promptly and cases will be referred to other agencies and institutions for investigation and trial without delay, he says. This is only half as good in practice as it sounds and Khan knows that. The problem is that the employees facing action often move courts and get stay orders on proceedings against them, thereby maintaining their posts, he adds. Khan also complains of the frequent negative press the airline gets. He arrived in Karachi on October 9 this year to inaugurate a refurbished Boeing 777 aircraft. The refurbishing consisted of minor repairs and other adjustments done on all Boeing 777s and A330s in the PIA fleet by the airline’s own engineering and maintenance department with a small sum of one million US dollars. “They had been in the same depressing shape for years. The cabin crew had to face embarrassment due to their shabby and untidy interiors,” he says. The next day, he flew back to Islamabad in the refurbished plane along with a media contingent that he had brought with him from the federal capital. Bernd Hildenbrand has become synonymous with scandal. Parliamentary hearings are going on to investigate his departure from Pakistan earlier this year as well as some major operational and financial decisions he took during his tenure as PIA’s acting chief executive officer. Yet, nobody questions his knowledge and understanding of the airline business. He believes PIA still has the chance to turn itself around. “Pakistan is a huge and growing country and has many cities with several million inhabitants. Pakistanis have also spread over the world, especially to England, Canada, the United States, Australia and the Gulf,” he says. All this theoretically provides the airline a market full of possibilities. But to realise these possibilities, he says, PIA must change a number of things that have contributed to its current dire state. The biggest negative factor, he says, is the strong government interference in the working of the airline. Rather than ensuring that people with strong professional backgrounds get top management positions, every political administration has tried to appoint its partisans to PIA even when they had no vision or knowledge of aviation, he says. This has given rise to an unhelpful trend: every time the government changes, PIA’s management changes too. Sometimes, the airline’s management changes more than once within a single government’s tenure. Since the PMLN government came into power in 2013, for instance, PIA’s management has changed at least three times — if not more. Even more importantly, says Hildenbrand, no major investments have been made and no good infrastructure developed in the airline since the 1970s. “The structures within PIA are obsolete. 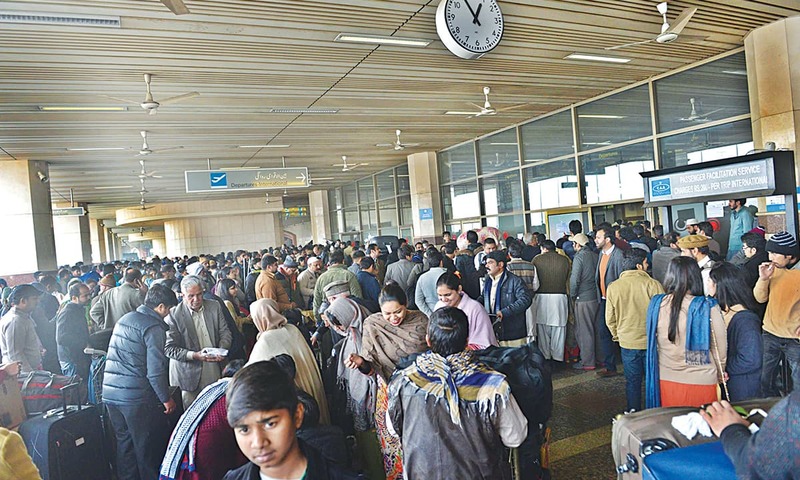 The company is overstaffed by far and its internal administration has reached ridiculously low levels.” That is why new, innovative and rich airlines have emerged and have stripped PIA of thousands of passengers, offering them better service, better reliability, better time maintenance and better connections to the world, he argues. Even within Pakistan, he adds, other airlines have newer aircraft, lower ticket prices and better online support systems than PIA. [Bashing in the media] shatters the passengers’ confidence and causes insurance premiums to go up besides [sometimes] leading to supplies being stopped. Hildenbrand dismisses the nostalgic view that PIA was once among the best airlines in the world. The simple truth is that this perception was never really true, he says. When compared to the leading airlines [of that time] like Swiss International Air Lines, Qantas, Air France, British Airways or Lufthansa, it was at best an average airline in the 1960s and 1970s. The sentimental rhetoric of taking the airline back to its glory days is also seldom backed up with rational decision-making. Hildenbrand talks of a March 2016 meeting with the prime minister to illustrate how whimsical decision-making has been vis-à-vis the PIA. The government gave him the task to improve the airline on a short notice – that is, by August 14 of that year – and bring in “brand new aircraft” to launch what became PIA’s premier service. This despite the fact that the “introduction of new aircraft takes three to five years”. The only possibility, he says, was to lease a recently-made aircraft which could compete with planes from Emirates and Etihad airlines. 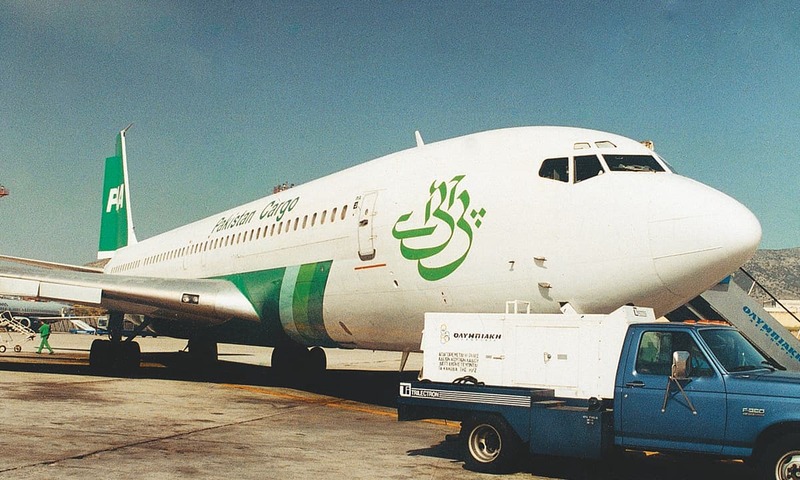 Even this option had its limitations, he claims: PIA’s financial reputation is so bad that no leasing company wants to take the risk of leasing aircraft to it; the demand to start the premier service came at a time when rising airlines like Turkish Airlines were buying and leasing almost every aircraft available in the market. “Only three A330 aircraft from SriLankan Airlines met the requirements put forward by the prime minister.” And, Hildenbrand claims in an email correspondence from Germany, the then chairman of the airline and its entire board of directors endorsed the plan to acquire those planes. In the end, PIA acquired just one A330 that landed in Pakistan on Independence Day in 2016. 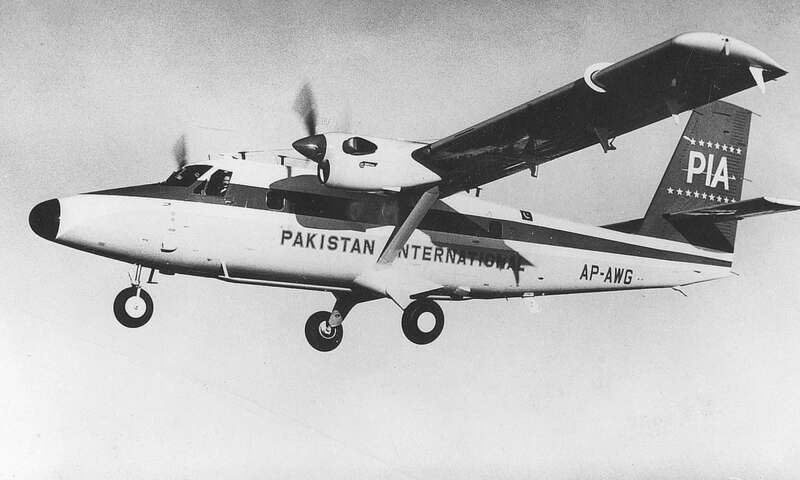 It was meant to fly on the Islamabad-Lahore-London route. All its flights were on time and its resonance within the clients was fantastic,” Hildenbrand says. Good customer reviews did not earn the service the money it needed to sustain itself. In documents presented to the National Assembly in March 2017, the aviation division said the premier service earned a gross revenue of 1.8 billion rupees by December 31 last year whereas total expenditure on it by the same day stood at 3.9 billion rupees. “A single aircraft can never become profitable,” Hildenbrand argues. If the service had expanded up to five aircraft, as was originally planned, it would have achieved a break-even, he says. 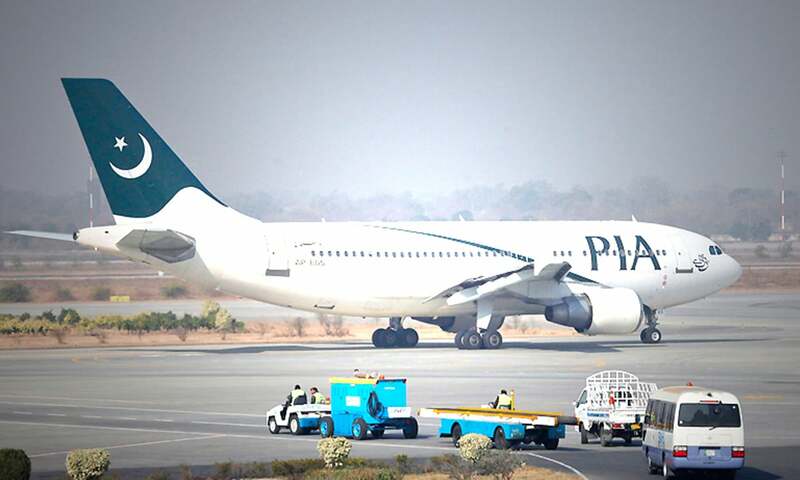 Less than eight months after its launch, the premier service was shut down in March this year and PIA returned the aircraft to SriLankan Airlines along with 19 million US dollars as lease charges. When the PMLN government came into power in the summer of 2013, PIA’s long-term loan stood at 32.67 billion rupees. Within one year, it jumped to 50.53 billion rupees. According to a PIA report, the amount of this debt skyrocketed to 94.85 billion rupees by March 31, 2017 — just short of 200 per cent more than what it was in 2013. The government has also provided the airline several bailout packages either in the form of financial guarantees to secure loans from commercial banks and other financial institutions or through cash injections for debt servicing. In 2013 alone, the government gave PIA 14.7 billion rupees both as guarantees for securing new loans and for repayment of the old debts. In 2015, the airline received another sum – 3.97 billion rupees – to help it conclude a deal for 124.9 million US dollars worth of plane overhauling. Between 2013 and 2017, the federal government’s guarantees helped PIA secure loans of 341.7 million US dollars from foreign lenders and 15 billion rupees from local ones. Instead, he alleges, PIA employees are often made scapegoats for anything that goes wrong in the airline. He cites figures from PIA’s annual report for 2016 to explain that the entire salary bill of the employees – including all their benefits and perks – stood at 15 billion rupees in that year. This constitutes only 20 per cent of the total expenditure on what PIA counts as ‘cost of services’ that stood at a little over 76 billion rupees in 2016 and does not include expenditure on fuel and debt-servicing. If these two expenses are also taken into account, the salary bill comes further down to 13 per cent of the airline’s overall annual expenses, Anjum claims. The official auditors of the airline went a step ahead and disclosed in their 2016 report that the airline is not fulfilling some of its financial obligations towards its employees. It did not deposit 10.20 billion rupees along with its markup of 4.18 billion rupees that it was required to as its contribution to its staff’s provident fund “within the stipulated time”. The auditors also pointed to something even more worrisome. 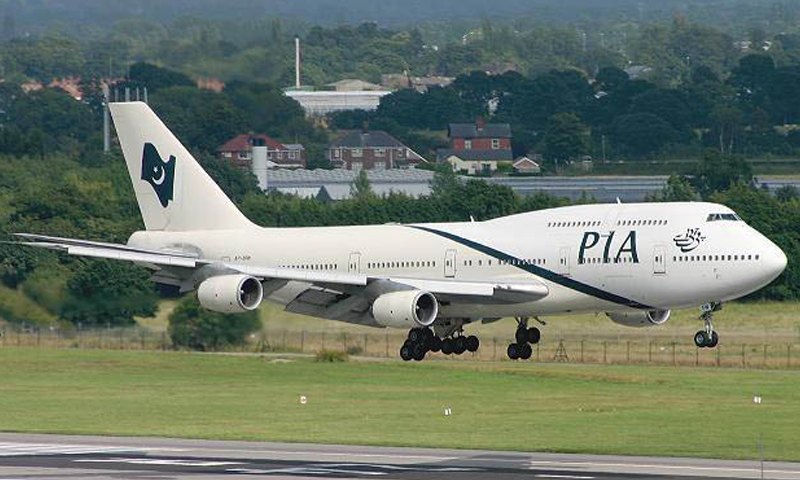 PIA, they said, “incurred a net loss” of 45.38 billion rupees in the year that ended on December 31, 2016, resulting in the ballooning of its accumulated losses to 316.74 billion rupees. This, they observed, made its “current liabilities exceed its current assets” by 195.55 billion rupees. “These conditions along with other factors … indicate the existence of a material uncertainty which may cast significant doubt on [PIA’s] ability to continue as a going concern,” they noted. The management says it is taking mitigating measures so that the airline remains a going concern. For how much longer, nobody knows. The writer is a staffer at the Herald. This article was originally published in the November 2017 issue of the Herald under the headline 'Twilight zone'. To read more subscribe to the Herald in print. 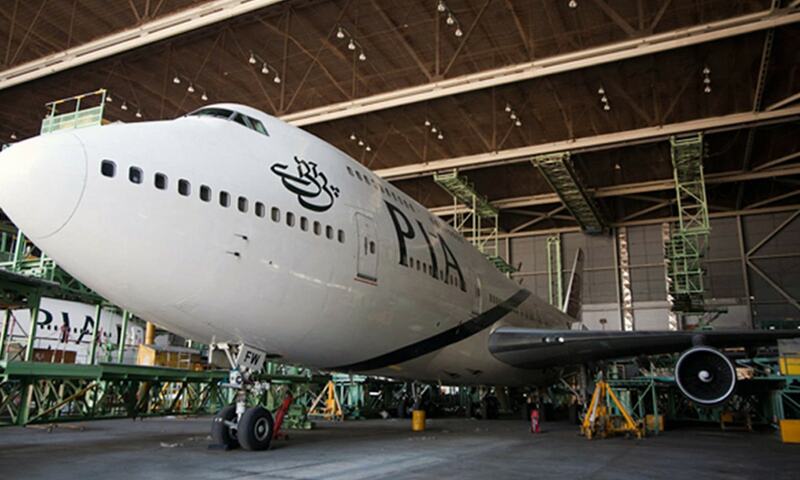 Plane truths: How costly is it to keep PIA flying? 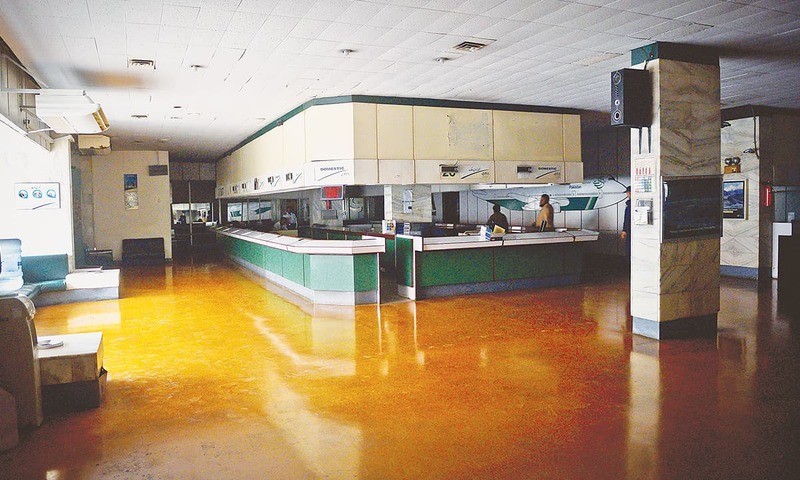 Excellent article giving complete insight into the health of an ailing and failing enterprise. It is unfortunate but it was bound to happen. If only the people who come into power in any institution would not give jobs to the unworthy simply due to the fact that their position provides them of pleasing the unworthy by taking bribes or to put the others under obligations to get favours later on, life would be decidedly get better for the ordinary citizens of the country. But then, who thinks of himself as accountable for any misdeeds committed by him or her. The corrupt carry on thinking that no one will ever touch them and if ever anyone does such a thing, that person being part of the game, could be bought at some price. It’s the staff culture that is behind and in Stone Age. I have seen same behavior of ex PIA staff even when working in gulf airlines. They Simply avoiding talking and trying to doge you by giving false information to avoid work and hassle. AN Example of PMLN and PPP developing Pakistan.. pathetic govts. a Military rule is better than these corrupt so called democratic govts who have killed people and looted the country and destroyed the institutions. Pakistan don't need enemies to harm itself, PMLN and PPP are enough. We don't need an unaccountable ruler like the military, we need a proper democratic leadership with checks and balances and a free press.